"Once more unto the breach, dear friends, once more; or close the wall up with our English dead!" The "breach" that Shakespeare refers to is an aperture, cleft, division, gap, hole, opening, puncture, rent, separation, or split in a wall. The breach that I have been trying to fill up, since 1999, is that of understanding the Circlotron circuit. I have covered an amazing array of topologies, single-ended Circlotrons and solid-state Circlotrons, hybrid and inverted Circlotrons, choke-isolated and transformer-coupled Circlotrons. With over twenty posts on this topology, what is there left to say? Well, there is always something new under the sun, if you know where to look. For example, with a few more advancements, carbon nanotube field-effect transistors (CNTFET) will become available and they could be used in a Circlotron amplifier. Today, we can buy Silicon Carbide (SiC) transistors and MOSFETs, which can also be used in a Circlotron amplifier. True, these are just new devices being plugged into an old topology. So, are there any real gaps, topological gaps, to be filled? Indeed, yes. I was reminded of the current-out Circlotron by an e-mail from Zygmunt Jerzyński, who puts out a truly interesting and informative web site, hiend-audio.com. If you like this web site, you will also like his. Be sure to check it out. A few years ago, when I was obsessed with current-out amplifiers, I wondered what a current-out Circlotron power amplifier would look like. 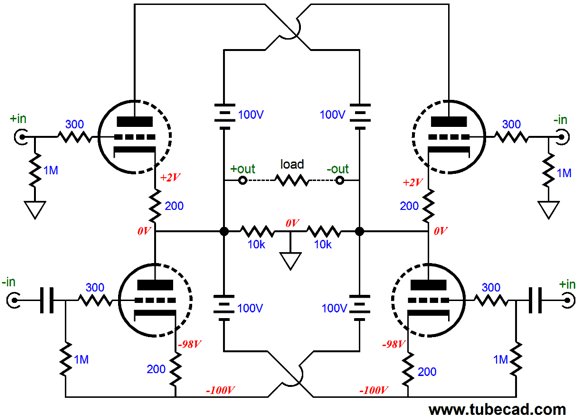 The circuit I came up with was based on the topology I created for blog 137. 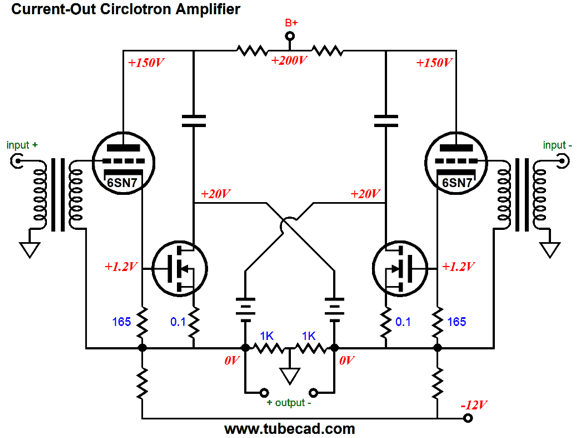 The above Circlotron is a voltage-out design that uses two negative-feedback loops to set the fixed gain. 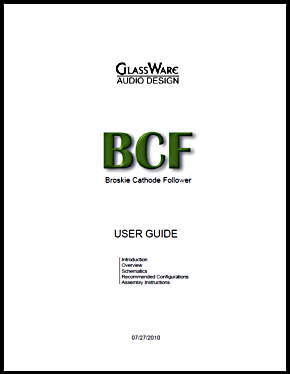 (The output devices are assumed to be BUZ901 power MOSFETs.) If we subtract the feedback loops, the output MOSFETs run wild, developing an output swing based on the load resistance and the MOSFET's transconductance. 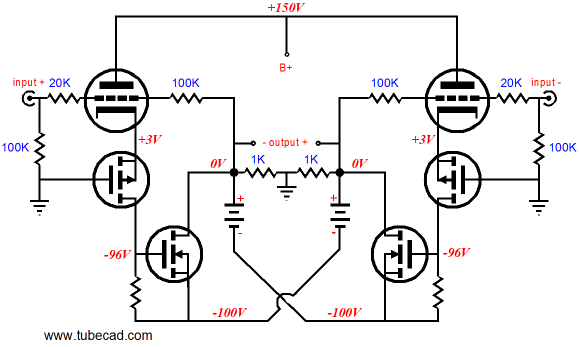 The following circuit removes the two negative-feedback loops. 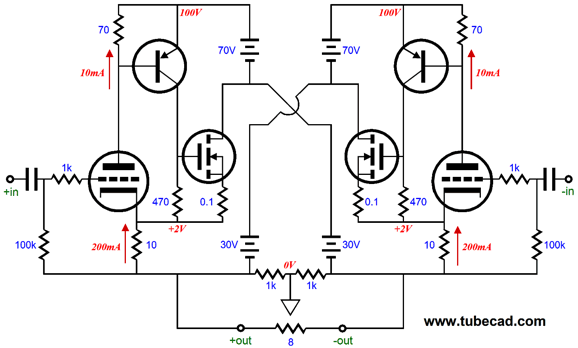 A balanced input signal is applied and the MOSFETs see this signal at their gates, but voltage-shifted down. After running many SPICE simulations, I was disheartened, as the results were poor, very poor. Different MOSFET types didn't help. I, then, assumed that the MJE350 PNP transistors were gumming up the works, so I tried other types, to no avail. Still convinced that the transistors were somehow at fault, I ran some simulations on the following circuit, which uses two input transformers in place of the PNP transistors. Once again, the results were poor. 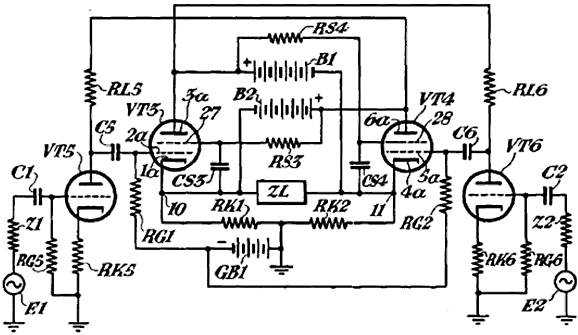 This troubled me greatly, as a similar circuit, shown below, yielded fantastically good results. 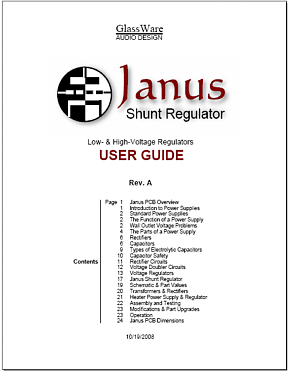 A big, balanced, input signal is applied and the MOSFETs see this signal voltage-shifted down at their gates; and the PNP transistors bases no longer attach to ground, but to the the output terminals. 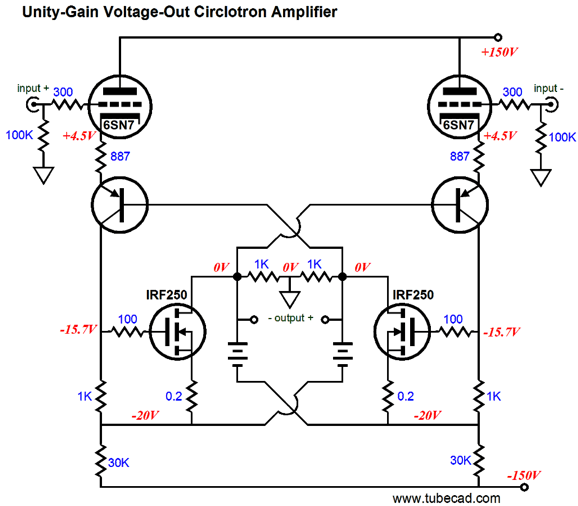 This circuit is a unity-gain power buffer, which explains why a huge balanced input signal is required, as this buffer provides no voltage gain. So, what went wrong with the current-out version? If we pause and pull back, we see that what drives all of these designs is the MOSFET's transconductance, which the input signal stimulates into action. In the case of the current-out Circlotron, the small input signal had to provoke big output voltages and current swings from the MOSFETs, as they worked into the loudspeaker's 8-ohm impedance. But in the case of the voltage-out Circlotron, the huge input signal didn't need to create voltage amplification, only current delivery. Thus, we were not close to comparing apples to apples, as the unity-gain buffer enjoyed a huge advantage by seeing a huge input signal, which it could use in a degenerative fashion to force its output to conform to accurately. Imagine that you are given $10,000 to build a nice tool shed with. Now, imagine that you are given $300,000 to build a tool shed, the same size, but nicer. Which project would would be more likely to turn out well? In other words, if a current-out Circlotron were designed to accept a huge input signal, what improvement in performance might be had, considering that it could use that huge input signal? 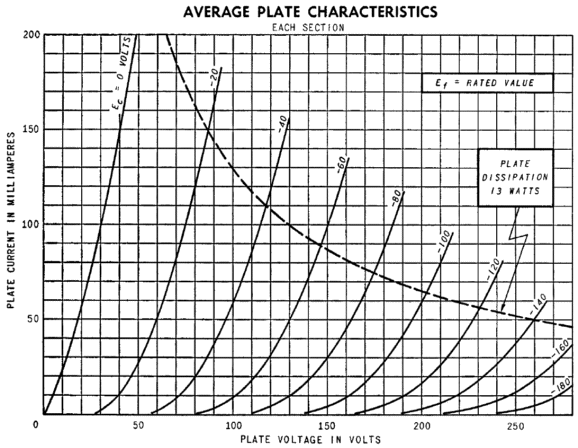 Vacuum tubes boast many wonderful attributes, but high transconductance and current delivery are not among them. The 6AS7, for example, when run hard, say 100V cathode-to-plate voltage and 10mA of idle current, exhibits a gm of only 7mA per volt. A typical power MOSFET, on the other hand, delivers gm of many amperes per volt and can release many amperes of current. Thus the appeal of combining the two technologies. We can simply cascade the MOSFET after a triode, so the triode delivers the MOSFET its input signal, as is done in the following design. This is not the only way configure a hybrid Circlotron, however. 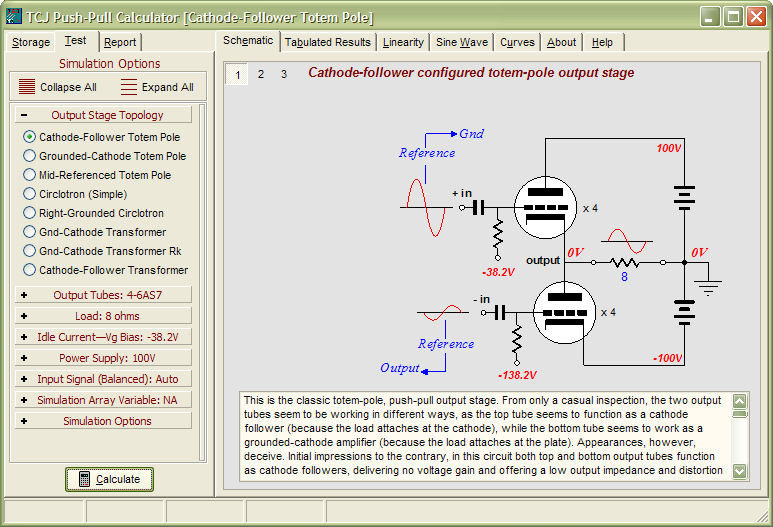 for example, we can use two PNP transistors with the two triodes, as the following circuit shows. 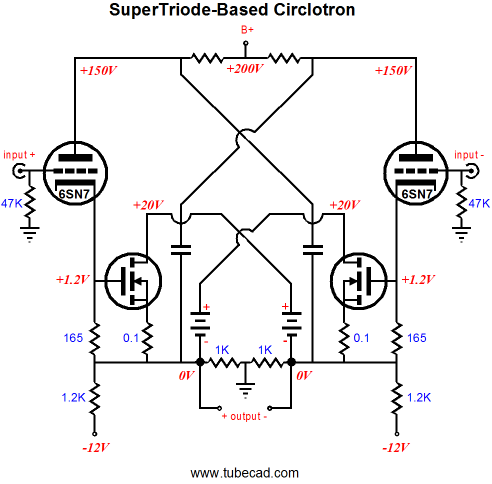 The PNP transistor conducts nine times more current than the triode (a 6DJ8) at idle, but it is the triode that is in charge of the PNP transistor. 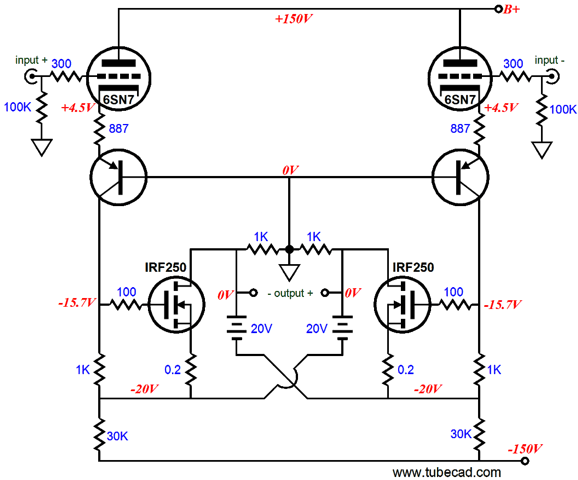 If the transistor conducts too much, it will turn off the triode, which in turn will turn off the PNP transistor. If the transistor conducts too little, it will force the triode to increase its current conduction until the PNP transistor turns on and conducts sufficient current to establish the necessary base-to-emitter voltage for the PNP transistor. In other words, this is a self regulating circuit, wherein the triode's current swings are small compared to those of the PNP transistor. 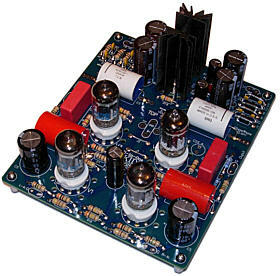 The above design would make an excellent balanced headphone amplifier output stage for low-impedance loads. Unfortunately, this topology will not work well with driving speakers, as the PNP transistor will see far too much emitter-to-collector voltage. In the previous hybrid circuit, this was not an issue, as the MOSFETs received their own low-voltage floating power-supply rails. 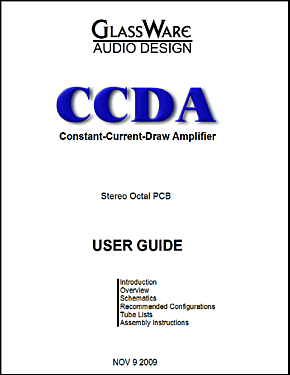 How do we do this with the PNP-transistor-based design? 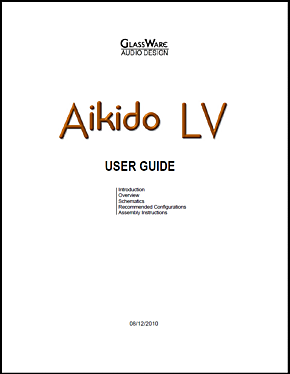 The above circuit uses two B+ voltages, 30Vdc and 100Vdc, with the power MOSFETs using the lower voltage. 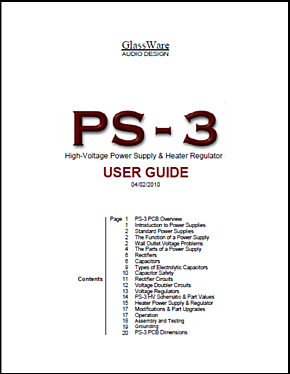 The PNP transistor still strives to maintain a fixed base-to-emitter voltage and the triode still receives the input signal and controls the MOSFET's output. 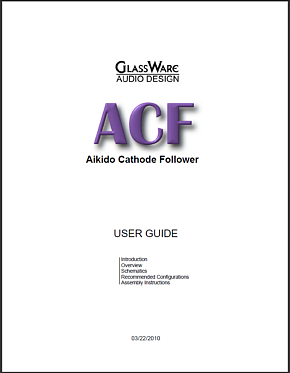 Mind you, this schematic is only for instructional purposes, as the MOSFETs are missing their essential gate-stopper resistors and the two 10-ohm cathode resistors are excessively large in value. Nonetheless, the topology is sound. Since I want to make sure that you get your money's worth, and since this post is fairly short (for me at least), here is a puzzle for you. In the above doubled-up Circlotron circuit, how much larger or smaller should be the signal delivered to the top triodes versus the signal amplitude the bottom triodes will see? I will write about the 2013 RMAF, which I look forward to attending.